The journey to “smart” has proven more challenging for wastewater networks than for potable water, but real-world impact is imminent. Learn what potential awaits the industry at monitoring’s latest frontier. What does it mean for a wastewater network to be “smart”? 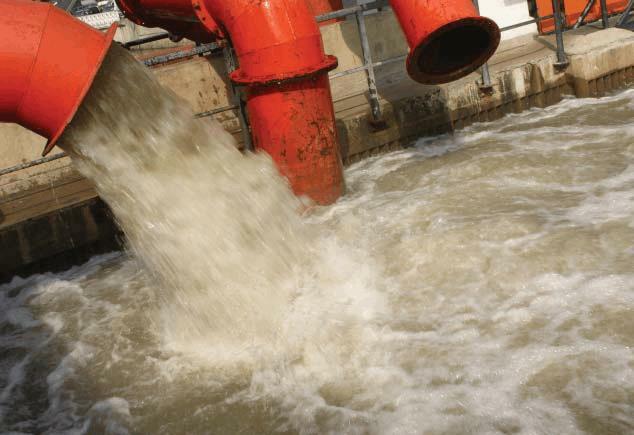 What is the wastewater industry hoping to achieve by going on a “smart” journey? It is a subject that has rattled around the water and wastewater industries for many years, and yet most of the focus has been on the potable water network side of the business, where the obvious gain is reducing non-revenue water. However, in the past few years the value of acting more “intelligently” in the wastewater network — nay, the wastewater system — has come more to the forefront as the value of taking a similar journey to our potable water colleagues comes to bear. The major problem is in understanding the exact problem and from where it comes — and in so doing, devising a strategy for its resolution. Is the problem related to … ? In truth, it is a combination of all of the above, and there are various teams in all of the WASCs handling different aspects of what has to be done to protect the customer and the environment. The major problem is in understanding the exact problem and from where it comes — and in so doing, devising a strategy for its resolution. One of the major issues is that of sewer misuse, be it from fats, oils, and grease (FOG) to the wonderful aspects of what people throw down the supposed “wet bin.” Any network technician in the industry will talk about FOG and unflushables as a major problem that has been attributed to 50 percent of all pollution incidents and 66 percent of all flooding incidents for one of the UK’s WASCs. The solution is, of course, education and working with customers to understand the consequences of putting the wrong thing down the drain. Despite this, there are technological solutions to the problem as well. A recent Sensors for Water Interest Group (SWIG) workshop heard from one engineer his vision of building the technological solution up from the bottom by using a combination of pump reversal modules that reverse the pump to clear blockages on an automatic basis, restarting pumps, and providing flow meters to detect whether a pump is actually working or not. The effect is to increase technician visibility of what is going on in the network and enable technicians to be more effective in their diagnosis of issues, thus protecting the customer in a more efficient manner, while also protecting technician health and safety by ensuring they are not called out to a false incident in remote areas in the middle of the night. Working on the small scale has its value, but it won’t resolve all situations; there is a place for increased monitoring in the wastewater network, with the major benefit being protection of the environment. This is where the Event Duration Monitoring program comes in. It is one of the focuses of the WASCs this asset management period (AMP). It stems from a Ministerial Direction that promised the monitoring of the “majority” of storm overflows by 2020. The knowledge about these assets and their performance has been questioned, and the subsequent impact on the environment is a big question that the Minister and the Environment Agency wants answered in order to find out the inherent problems that lie in the wastewater collection network. Over the next few years, teams of people will install thousands of monitors prioritized so that the highest-impact areas are completed first to monitor when, where, and for how long spills from the wastewater network are happening. The first monitors have been installed and a year’s worth of data collected, and approximately 12 percent of combined storm overflows (CSOs) warrant further investigation based upon their current performance and, depending upon the results, drive further investment within the network infrastructure. The need for the future is to see what impact any schemes have on the holistic environment, what improvements can be made, and what impact this has on the holistic water environment and the quality of future discharges from our wastewater treatment works. that has to be asked is what we can do to provide a more strategic management of the wastewater network. It is an approach that has been taken in Europe for many years. The multiple reports by UK Water Industry Research (UKWIR) and Mouchel (now part of WSP | Parsons Brinckerhoff) on active system control describe in detail what work needs to be done and what has been done in other countries. A great example of this is in Denmark, where high-speed modeling techniques have been used to provide overall management of the wastewater network so that it can be managed more effectively. Another example is the work that was done in the Southern Water region of the UK. The Eastney project used a combination of modeling techniques and rainfall radar as part of a solution to mitigate the risk of flooding within the area. Part of a much wider solution that includes green infrastructure, the smart wastewater network gives the company advanced warning of what will happen moving forward, informing decisions on methods of operation for the pumping station, which is a critical part of the overall wastewater treatment system. Communication and telemetry systems to tie it all together. If there is a weakness, it may be the quality of the weather radar systems, but this Data-as-a-Service (or DaaS) is a solution that others within the water industry are looking at — a couple of years ago, high-quality X-ray fluorescence (XRF) weather radars were investigated by the University of Delft, and weather data and prediction has become a data service within the water industry. The impact of weather radars, coupled with data from rain gauges, will allow for predictive models to determine how the “smart network” can help the industry manage flows. The ultimate aim of a smart wastewater network is to help the industry to make better-informed decisions about how to operate the wastewater system by facilitating the flow of wastewater through the entire system, all the way from the customer’s toilet, through collection, into treatment, and out to reuse or recycle in such a way that we optimize not just the cost of the whole process but the impact that it has on both people and the environment. Operationally, this comes from limiting incidents and events such as pollutions and flooding to either zero (the brave aim of the future) or as near to zero as we can possibly get. This can be achieved, and we are seeing water companies take this approach now with a number of different technologies — from a simple “Customer Flood Alarm” that warns of rising levels in areas of known problems so that issues can be dealt with according to priority, to systems that stop pump blockages and warn of problems via pump-reversing, monitoring of pump currents, and using flow meters to give a true picture of what is happening. The strategic direction is looking at the much wider, more-encompassing systems, and the advantage here is to limit the capital build of detention tanks in the network and storm tanks within the treatment works. The best case of this was in Barcelona, where a smart wastewater network was constructed for the Olympics in 1992. The alternative was a vast detention tank under the center of the city, and the smart wastewater network approach was the considerably cheaper option. From a holistic point of view, the treatment works must be brought into the equation too, and it is at this point of bringing together two aspects of the industry — network and treatment, where the real savings can be made by controlling the flow of water through the whole system and limiting the environmental impact of the wastewater systems — that we can truly get more for less. The impact of weather radars, coupled with data from rain gauges, will allow for predictive models to determine how the “smart network” can help the industry manage flows. So, what does this wastewater system of the future look like? 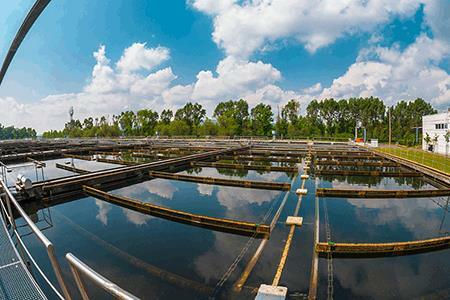 In normal day-to-day conditions, the smart wastewater network of the future controls flows, flattening out the flows that are received at the wastewater treatment works. It monitors how much time sewage spends in the network, aiming for a completely flat flow profile at the treatment works with regular, automated flushing cycles to ensure that the sewer stays as debris-free as possible, controlled by sewer level monitors to pick up unusual levels that might highlight blockages starting to develop. Various tools are used to keep the problems at bay, such as pump-reversing and flow monitoring to ensure that the flows keep moving and pumps don’t block. 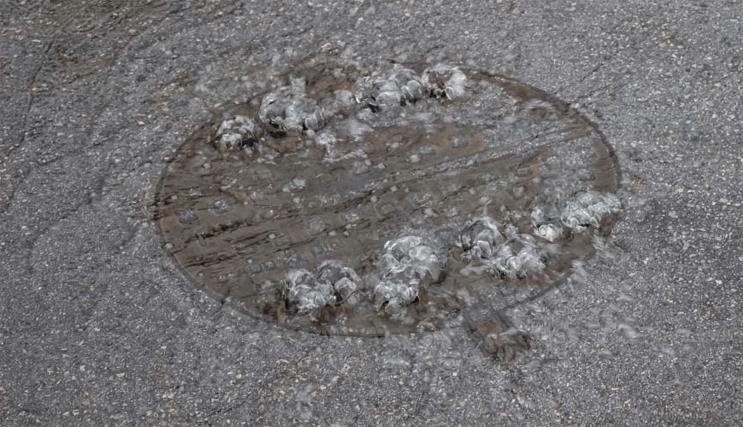 Where problems are starting to appear and hot spots start to develop, an alert is triggered to look into potential sewer misuse. CSOs from the system are dry. Flows pass forward to the treatment system, where the relatively uniform flows enable efficiency of treatment and virtually eliminate the need for treating peak flows. This enables a uniform production through the process, which further improves the treatment efficiency. The intelligence of the system kicks in with the prediction of rainfall events. If the system were to predict that the sewer in its current state can’t manage all of the flows within a six-hour period, it could recalculate and ramp up flows so that the required capacity of the sewer is available with an appropriate safety margin. The flows are managed and held within the sewers. The CSOs are still dry. If the rainstorm continues longer than predicted and causes a potential problem at a customer’s premises, an alert is triggered in the control center, and a team is allocated to resolve the issue for the customer so that an incident is mitigated or avoided. This is a fictional, potential system of the future, but what we have heard at the various workshops and conferences is that this is a future that in reality isn’t that far away. The technology exists, from sewer alarms and pump-reversing systems to the potential for network flow monitoring, event-duration monitoring, and customer flood-protection alarms. Taking a step up in complexity, weather radar systems, network model, and active control systems also exist. Finally, analytics and visualization systems exist as well, enabling the vast amount of data that is inevitably produced to be shown in a way that can be understood and acted upon. It’s a system that is starting to be developed by some water companies, and more recently we have seen the development of the factory approach famously mentioned in a STOWA (Dutch acronym for the Foundation for Applied Water Research) report on wastewater treatment works of 2030. “Production efficiency monitoring systems” have worked out fantastically well for energy, water, and nutrient factories, and the extension of this approach to the wastewater network is just another step to a “smart industry” future. Oliver Grievson is the wastewater flow and quality instrumentation specialist at the Foundation for Water Research, the director of the Sensors for Water Interest Group, a member of the ICA special interest group of the International Water Association, and founder of the LinkedIn Group “Water Industry Process Automation & Control” — all in addition to his duties as a flow compliance and regulatory efficiency manager.